Looking for a home with sweeping Hill Country Views in the Austin city limits? Take a drive through River Place off of 2222 near 620 and see the variety of homes and views that are on the market this Spring. Homes in this subdivision range from the low-to-mid $300s all the way up to several million dollars. Homes have been built in this area since the early 1990’s and are still being built in 2012. Currently, 24 homes are for sale with a median price of $607,000. (Median means half were above that selling price and half were below). The least expensive home for sale in River Place is $364,000 for a 3 bedroom home with 2 bathrooms and 3,016 square feet of living space on two levels. The most expensive home for sale is listed for $4,150,000 and has 4 bedrooms, 5 bathrooms and a 3-car garage. This home is on the river, has a boat dock, a multi-level deck, a swimming pool and high-end finishes in the interior and on the exterior. Since January 1st, 2012, 20 homes have sold for a median price of $431,000. These 20 homes ranged from $320,000 to $855,000. Another 16 are under contract. If you drive through River Place, you will see a lot of limestone exteriors, and limestone mixed with brick. 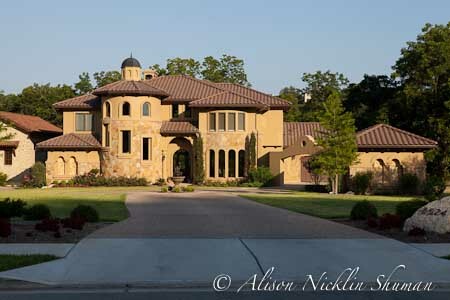 Some homes also have stucco exteriors, often mixed with brick or limestone as well. Many homes have gorgeous, sweeping Hill Country views, and most of the older homes have mature trees and landscaping. On the interior, most homes have higher ceilings, and many that have sold recently (or are for sale) have granite countertops and hardwood floors. River Place is in the Leander Independent School District.